Home » OIT » Check your digital security savvy, and you could win an iPad! Check your digital security savvy, and you could win an iPad! By clv4@duke.edu in OIT, Security on October 1, 2012 . As part of National Cyber Security Awareness Month in October, Duke’s IT Security Office is sponsoring a contest to help Duke faculty, staff and students keep their computers healthy. 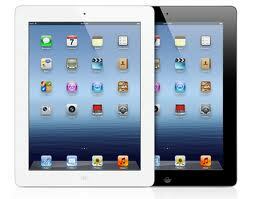 Duke users can take an online quiz to test their digital savvy and be entered in a raffle to win an iPad. Other events this month include “health checks” for Duke computers at various campus locations and a panel on data security for international travelers. To enter the contest and find out more, visit http://www.security.duke.edu.